On the Staten Island Ferry, you can buy beer. On a Norwegian ferry, you can buy pancakes. It surprises me (and one travel companion in particular) that I’ve never missed a flight—knock on wood. But it’s only fitting that the closest I’ve ever come was in search of the elusive Norwegian pancake. Up to the very last minute, I was scouring Oslo’s food malls, market squares, quite cafés, and big-box stores. I received my fair share of strange looks as I repeated the golden word in my best Norwegian accent, changing up my leading question each time hoping it might just help me nail the sword: svele. Instead, I boarded my flight empty-handed (and last)—this wasn’t an easy food to find on solid ground. Why was I searching or this puffy Norwegian pancake in southern Norway, when its natural habitat is the ferry cafés along the country's western coastline? Even though I had been on an endless stream of ferries in the area, the sad part was that I didn’t know what svele was until it was too late. I learned about sveler (that's the plural for svele) on my last boat trip, which droppped me off in Ulvik (pictured above), a farming village inside the Hardangerfjord. I was staying at a small organic farm where my hosts and I got to talking about my ongoing interest in lefse. The conversation suddenly pivoted towards sveler, the unofficial (maybe official?) ferry food of western Norway. If you have ever pulled out of map of Norway, you will see that the western coast line is permeated by fjords. Every centimeter or so, the land makes way for a thin, erratic, blue line. Instead of becoming a country of obsessive bridge builders, Norwegians have opted for an immaculate ferry system. These ferries are used by everyone—even local buses have to cross the fjords—and make for built-in pit stops during any drive. This is where the small but charming ferry cafés come in. These cafés, often hosted below deck, pump out drip coffee, hot dogs, and most important of all, sveler. You haven’t really taken a ferry unless you’ve held a folded, butter-sugar filled svele in one hand and a piping hot coffee in the other. 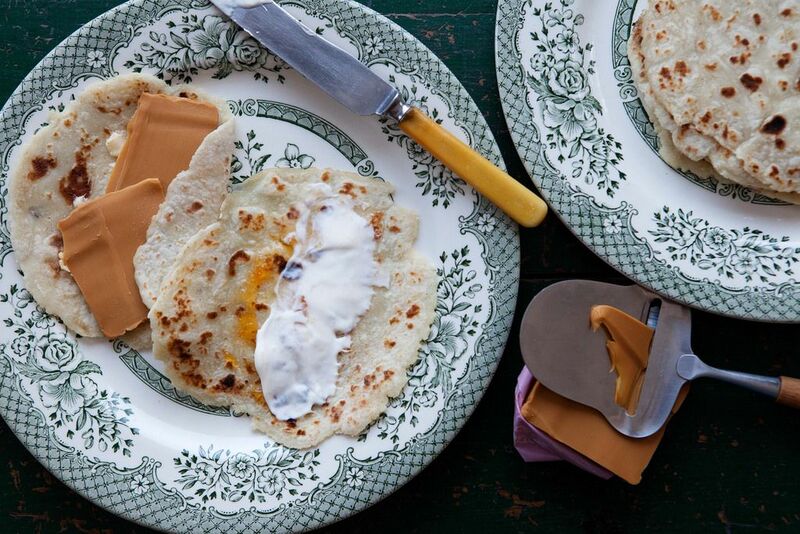 Fiveandspice serves her lefse with Gjetost (otherwise known as brunost, a Norwegian cheese) and butter. So I guess I hadn’t really taken a ferry. To recreate these at home, I had to cull my memory for every last detail about sveler, and then the internet search began. 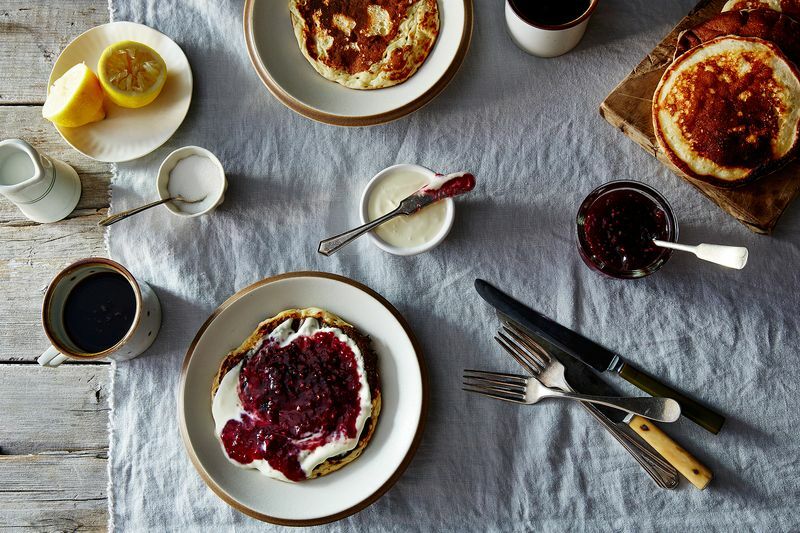 I fell deep—real deep—into a rabbit hole of Norwegian pancake research. I made seven batches of the bubbly cakes, tearing them open hot of the grill, smelling the dough, slathering the pieces in butter, and dipping edges in my selection of jam. I ate pancakes for two and a half days straight, and I saw what made sveler so irresistible—I was a convert, ferry or no. Sveler magic is due to two things (personal opinion here): You can eat them cold, and they have charming bubbles. Lucky for me, I was able to recreate the airy texture because I had packed a small, tightly-sealed, yellow canister of horn salt (otherwise known as ammonium bicarbonate) in my carry-on back from Norway; it’s the chemical responsible for svele’s distinct taste and texture. This traditional Northern European leavening agent (think precursor to baking powder and soda) is best smelled from a distance, but it’s crucial to a satisfying svele. The good news is that horn salt is easy to buy online. 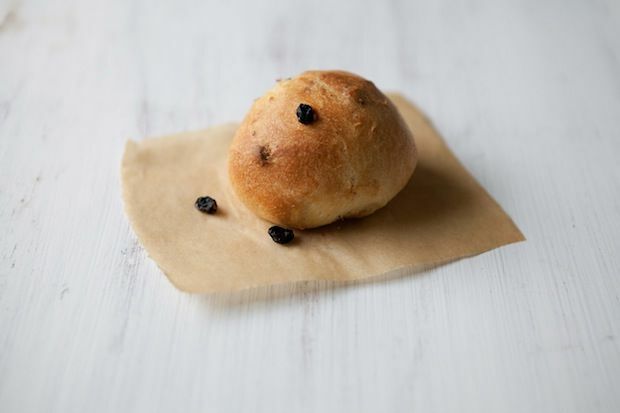 Boller are traditional Norwegian cardamom snack buns. Like any food passed down from generation to generation, there are endless recipes for sveler. Some are heavy-handed with the horn salt, which leaves the dough a bit astringent. Others mix in melted butter (I was convinced I would do the same until I made a batch sans butter and realized that the rich addition had actually been taking away from the dough’s delicate properties). Just like the ferries lines each boast their own sveler recipe, Norwegians tend to have a preferred way to top, or fill and fold, their sveler. If you want to go full ferry, all you need is some fluffy butter mixed with sugar. But I’ve fallen for two other classic combinations introduced to me by my friends in Ulvik: A thick smear of cold butter and thin ribbons of Gjetost/brunost (a Norwegian cheese normally made of a blend of cow's milk, goat's milk, and whey), or dollops of berry jam and sour cream. No matter how you fill them, eat with coffee. This article made me want to instantly jump a plane - and a few ferries a to Norway. Lovely armchair travel reading, this is now on my bucket list! There is a lot to be said for local knowledge. Now (of course) I want to go cafe hopping in Norwegian ferries! I like these because they use kefir, and I have lots of kefir because I add it to my fattening pigs raw milk every day and raising my bread. I shall go looking for the horn salt first though. Thank you - it is always a pleasure to visit.. I knew searching for sveler in Oslo was a long shot, but I had to try! In all my inquiries I did learn about one vendor selling "better than ferry" sveler at a farmers market, sadly it was the day after I left.